Indian border troops will use images provided by the Cartosat-2 series satellite, which is capable of monitoring minute details like the movement of persons, tanks, etc., when images are taken at quick intervals. NEW DELHI (Sputnik) — The Indian government has introduced a slew of measures to better equip the Indo-Tibetan Border Police (ITBP) — a dedicated force guarding the 3488-kilometer border with China. The most significant measure is the designation of the ITBP as the nodal agency for using GSAT communication and surveillance satellites. This would enable the force to conduct real-time monitoring of the movement of the Chinese People's Liberation Army (PLA) along the border. "We are thankful to MHA for making ITBP the nodal agency for the GSAT Centre," R K Pachnanda, director general of the ITBP, said on the occasion of the force's raising day. 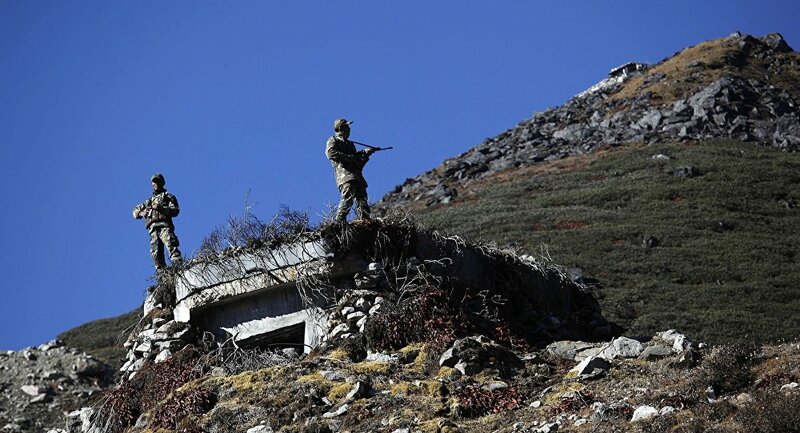 India's Ministry of Home Affairs is also planning to build 50 more outposts along the Chinese border. More border posts will minimize the distance between any two border posts and leave less space for any trespassing by Chinese forces. The ITBP also raised its maiden mechanized column to mobilize troops at faster speeds along the Sino-India border. The column consists of military trucks and over 250 sports utility vehicles (SUVs), all-terrain vehicles (ATVs), snow scooters, bikes, a mobile communication wing, excavators and medium-lift four-wheeled vehicles, which were showcased during its 56th Raising Day celebrations at its base near Delhi. "Arrangements are being made to make sure that every ITBP jawan/officer [has a basic understanding of the] Mandarin language at a training level so that they don't face language issues at the border during face-offs with the PLA," Rajnath Singh, India's minister of home affairs, said. The Indian government has also expedited the construction of 25 roads, which will connect border posts in Arunachal Pradesh, Himachal Pradesh and Uttarakhand.